Day 20 finds me down and out with a nasty cold. I despise a nasty cold. I have yet to meet a cold that is not nasty. The plop, plop, fizz, fizz of Alka Seltzer is music to my ears tonight and oh! I am looking forward to that sound in a few minutes. Dedicated soul that I am, I have put off muting my cold symptoms until I could get my photo(s) edited and posted for my viewing pleasure. 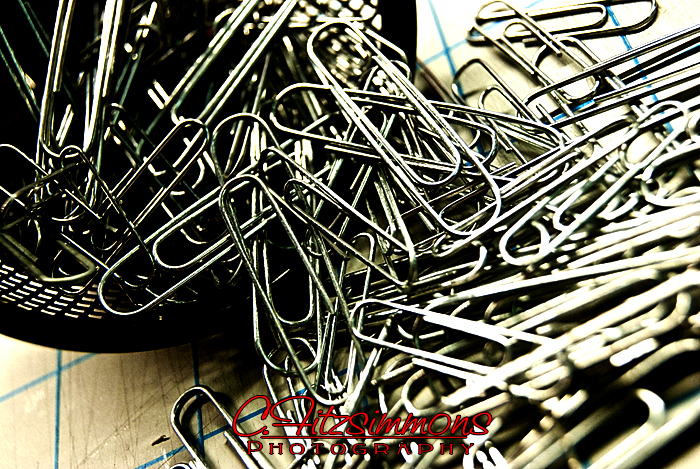 There was no real planning in what I shot today – the paper clips are always on my desk and today as I was cleaning it up from the day’s book repairs and the rest of the minutiae of my day I decided to shoot them. I was proud of myself when I managed to narrow my choice from 6 down to 1! 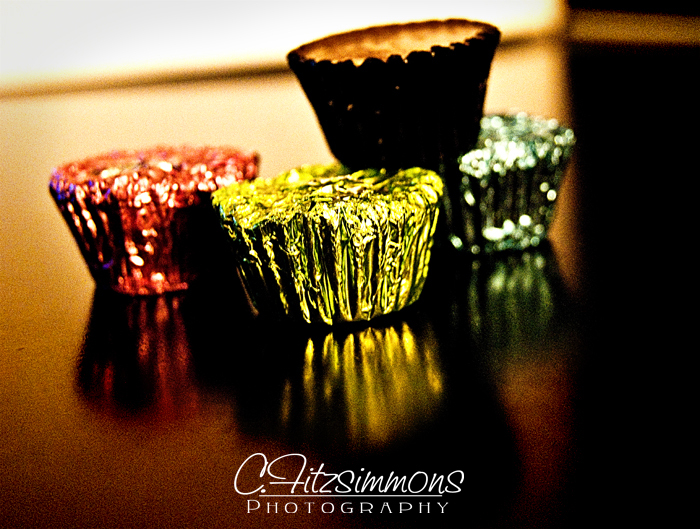 The Reese’s cups are leftovers that the Easter Bunny put into my cupboard after stuffing the kids’ baskets – Lucky me!!! 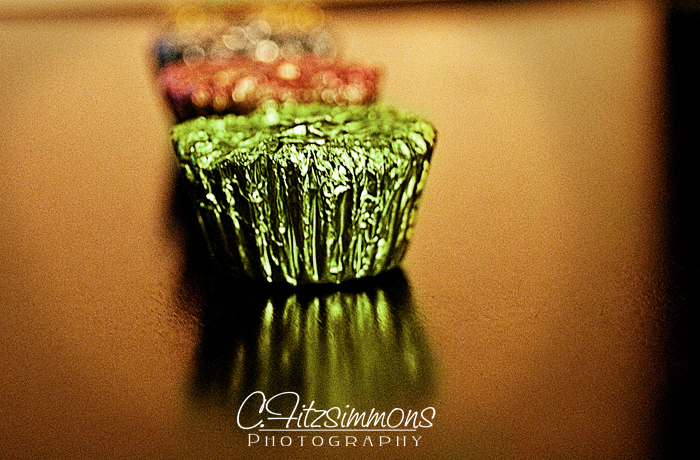 I love the colors of the foil wrappers at Easter, particularly the green. Add the shine and metallic and I am oohing and ahhhing over them. It doesn’t take long before I am Mmmmmming over them! My favorite treat! This entry was posted in 365 Day Photography Challenge and tagged 365 Photo Challenge, candy, Easter, paper clips by Cyndi the BookChick. Bookmark the permalink.